The Netherlands was a pioneer in the automat restaurant field, most famously with their chain of FEBO restaurants, some of which still exist, feeding late night eating binges. 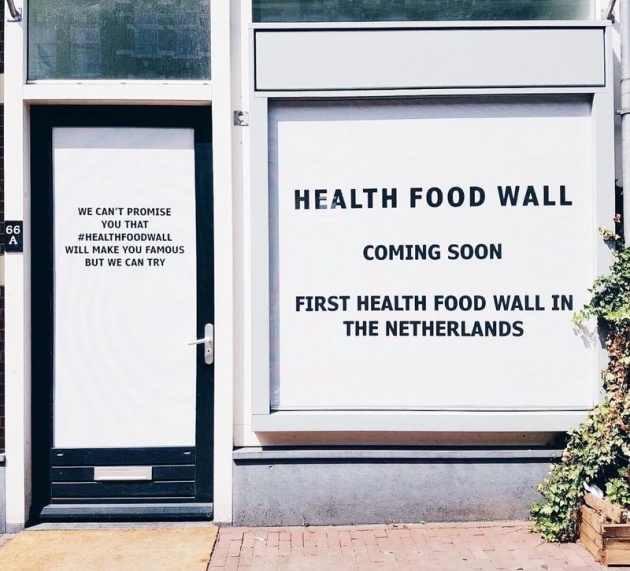 Now, Amsterdam will launch the nation’s first “Health Food Wall,” a concept designed to provide healthy vegetarian and vegan food options for those on-the-go. The design includes many refrigerated chambers where various meals are stored. It operates like a vending machine, whereby customers pay with a card to retrieve the dishes they desire. The “food wall” concept is not new to the Netherlands, however, they commonly offer only junk food. In contrast, Amsterdam’s new Health Food Wall will feature nutritious, organic vegetarian and vegan food. Gluten-free options will also be available. As well as plant-based meals, the dispensary will offer coffee, juices, smoothies, and snacks. The Health Food Wall is not just for those on-the-go; the company explained on its Instagram page that an on-site lunchroom will allow diners to work and socialize.